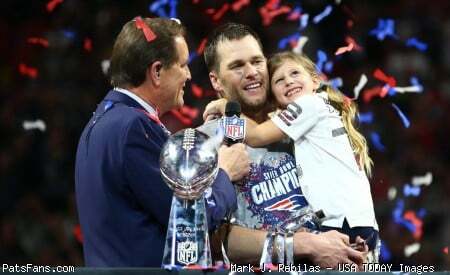 Discussion in 'PatsFans.com - Patriots Fan Forum' started by TommyBrady12, Jan 13, 2019.
Who do we want to win the NFC Championship? I’m thinking the Rams would be the easier opponent and it’s just my gut. They’re the type of high-flying, high-fiving team that may just completely gag in the big game. I’d prefer not to spend two weeks listening to how Brees can become the GOAT if he wins one game...already got that with Rodgers this year. I know we'll have our hands full with the Chiefs next week, but are we cheering for the Saints or Rams on the NFC side? The rams uniforms are stupid. Root for them. Don’t really care. Saints will win. Nobody is beating them in the dome. I like Brees as he’s one of my era originals. (Manning, Brady, Rodgers, Brees). Hate Marcus Peters too. I also hate how the Rams have unlimited cap space..... lol. IF we win next week I’d rather face Goff over Brees. Would rather face the pocket passer, I think. I don’t know. It’s a tough call. As an LA resident I have to see the cartoonish Rams gear everywhere. The St. Louis Rams had some of the best uniforms in the league. How does a team move to LA and get uglier? From a easier team to beat stand point I would think rams, but I like brees and the saints. Gate bros and all that. Plus a Brees Brady Bowl would be epic so I voted Saints. With a path of chargers, chiefs, saints nobody could say anything about an easy path and that would be satisfying as well. Gotta root for a Brees/Brady bowl. I would like our chances better against the Saints if we advance. I'm rooting for the Saints. Two HOF, forty year old quarterbacks facing off would be cool. Plus, the two teams screwed over by Goodell. Saints for a few reasons. #1 If we don't win I want them to. #2 They have a pretty cool fan base. #3 LA doesn't deserve to win anything in sports... ever. They just don't care. At least the Saints fans would give a crap. #4 I think the match up would be more fun to watch and maybe even a better match up. I kind of like the idea of facing the Saints who have a more typical offensive style. Also if we need to get into a shoot out I would rather face a team that doesn't have Aaron Donald. I must don't know. It will be hard for me to sleep while preparing for our Patriots to take on KC and that is saying a lot since I usually take LOOONG naps. I'd take my chances against Goff/Gurley/Cooks/Woods. Goff has shown flashes but he isn't exactly consistent. I'd be extremely surprised if the Rams actually win it at the Superdome. I was in NOLA after the 2010 Superbowl and know what that Superbowl did for the wonderful city.. was near Napolean and Tchoup for Bacchus and they were having a before parade party at Tipitina's... Brees and Payton arrived and the crowd whipped themselves into a frenzy it went on for about 7 miles.. that was an extremely cool experience.. The whole town is in love with the Saints, and the Saints are involved in the culture of NOLA... if I were not a Patriot fan would probably be a Saints fan.